Of course, I had to stop. 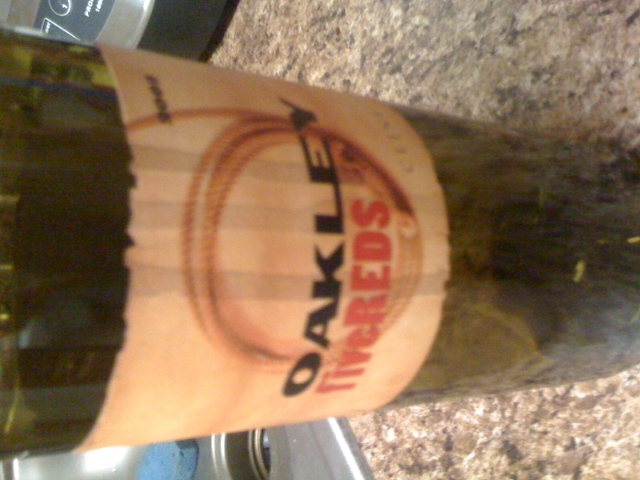 The rose was nice, but I decided to pick up the Oakley fiveREDS blend. This is a tasty blend of Merlot (47%), Syrah (13%), Barbera (12%), Alicante Bouchet (10%), Petite Sirah (10%). It smells like crushed berries and something spicy. On the mouthfeel, I definitely get the fruity qualities of the Merlot, and the finish is a bit black peppery. 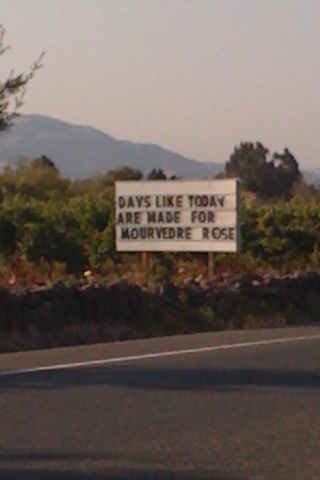 Most of the fruit in this wine is cool climate and you definitely taste the acidity. My friends and I popped this bottle open with some cranberry chili meatballs and it was a nice combo!